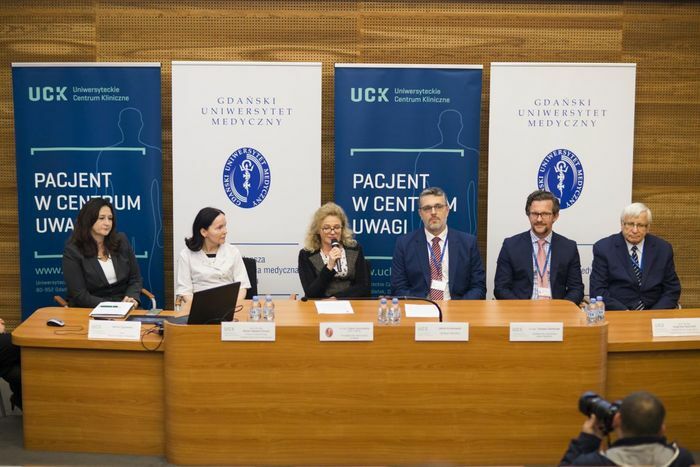 A pioneering pancreatic islets transplantation was performed at the UCC on 27 of October 2018 in Gdańsk. The patient was 41-year-old man from Wejherowo, who in 2010 underwent kidney and pancreas transplantation. Unfortunately the transplant was rejected. 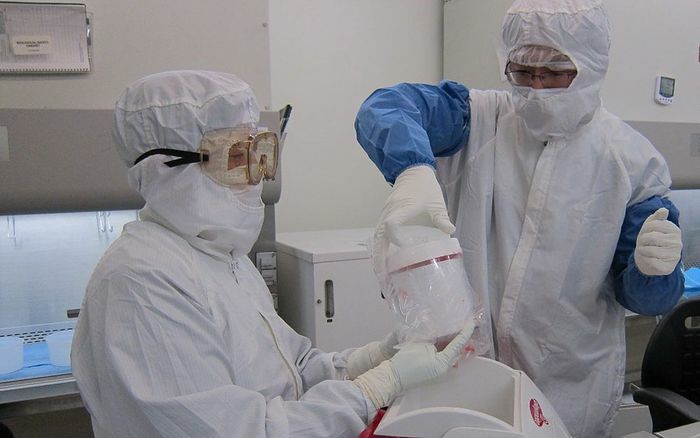 Transplantation of pancreatic islets in UCC was possible thanks to cooperation with professor Piotr Witkowski, who is a graduate of our University. 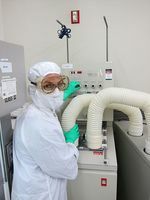 In 2010, the Professor began the programme of pancreatic islet grafting at the University of Chicago, inviting also the UCC of the MUG to cooperation – said professor Edyta Szurowska M.D., Ph.D., Vice-Rector of Clinical Affairs. Professor Piotr Witkowski, M.D., Ph.D, is a leading expert in islet transplantation. 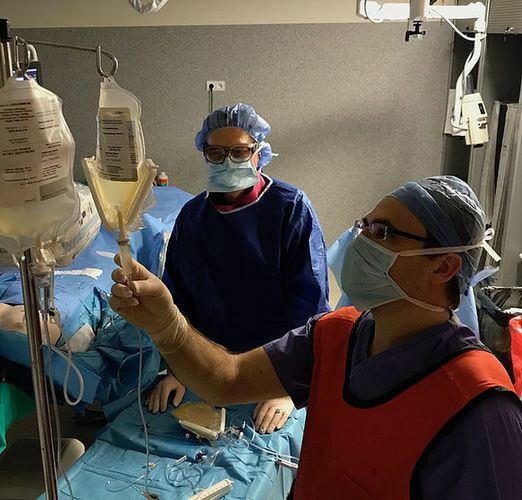 He is also highly skilled in kidney, pancreatic, and liver transplantation, including laparoscopic techniques used to procure organs from living kidney donors. A widely published researcher, professor Piotr Witkowski, M.D., Ph.D, has an impressive record of success in both basic science and clinical research pertaining to islet cell and abdominal organ transplants. Among other accomplishments, he was instrumental in developing an optimized islet isolation technique that greatly improved success in clinical transplants. Under professor Witkowski leadership, multidisciplinary research teams at the University of Chicago are currently conducting several studies designed to improve quality and outcomes in islet cell transplantation in patients with type 1 diabetes. 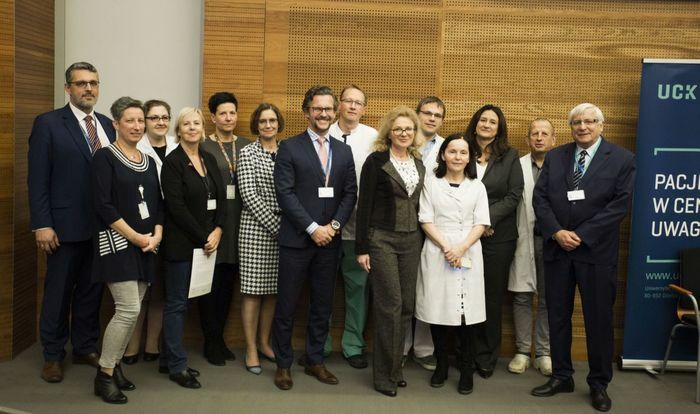 - Jakub Kraszewski, the CEO of the UCC, said that this year is special for the hospital because three new transplant programmes have been launched. He noted that the UCC is an absolutely unique place. The centre has 10 accreditations in the field of transplantation and this year it will perform nearly 300 transplants. The pancreatic islets is an organ that is responsible for the production of insulin in the pancreas. Pancreatic islets transplantation is much less invasive than transplantation of the whole pancreas. Patients with poorly regulated type 1 diabetes may experience the benefits of such surgery. The project is financed from the programme: STRATEGMED Tregs 09-0832/18/3 of The National Centre for Research and Development.